A labor union is an organization of workers who work to achieve the common goals as stated above. The labor union, through its leadership, bargains with the employer on behalf of union members (rank and file members) and negotiates labor contracts with employers. There may be no better reason to join a union other than the fact that union members’ wages are 28% higher than non-union workers’ wages. It is not uncommon for non-union workers to earn $8 an hour, have no health insurance, and no pension. Public assistance programs funded by taxpayers make up for what employers should be paying, but are instead pocketing. Of course, corporations and private businesses have the fundamental right to make a profit....it is part of the American Dream. But some CEOs can earn 500 times the wages paid to their workers, and this greed is contributing to the demise of the middle class. In 1935, the United States Government enacted the National Labor Relations Act which grants employees in the private sector the right to form labor organizations and bargain collectively without the interference of employers. There is no denying that there is power in numbers, and such strength gives an edge to employees when it comes to setting the terms and conditions of their employment. Many non-union workers take for granted the rights and protections afforded to them by virtue of labor’s struggles in the past. The 8-hour work day and 5-day work week are key examples. Additionally, in the ten states in which unions are the strongest, there is less poverty, higher household income, more education spending, and better public policy than in the ten states in which unions are the weakest. What local Unions is the NEWBT affiliated with? 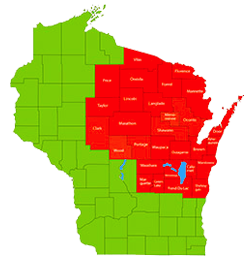 What about Community Affiliations in Wisconsin? Who is on the Executive Committee of the NEWBT? 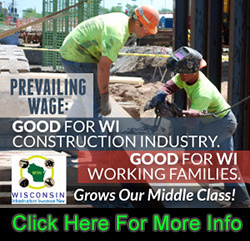 Where is the NorthEast Wisconsin Building & Construction Trades Council headquartered?